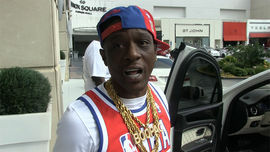 Lil Boosie, whose birth name is Torrence Hatch, is a rapper from Baton Rouge, LA. He was born on November 14, 1982. He served a portion of an eight year prison sentence from 2009-2014 for attempting to smuggle drugs behind bars. He admitted to having a drug addiction. A jury found Boosie not guilty of first degree murder in 2009. 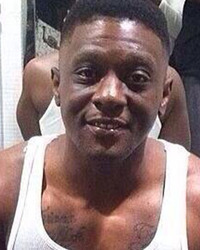 Boosie has encountered some major medical issues. He suffers from diabetes and survived kidney surgery in December 2015 by having half of one of his kidneys surgically removed. Boosie has eight children with at least four different women. Four of the moms shopped around a reality show about their bond. Kim K. Is Great for Prison Reform ... I'm Down to Help Too!!! Forget Lindsay Lohan ... Check Out This Firecrotch! Spoils Daughter with Porsche for 16th Birthday!!! Meek Mill Will Be Out in 10 Months With Way Fatter Pockets!! !